As the market in health and fitness continues to grow, so does the technology being used to track and monitor your daily fitness statistics. Can the Mi Band 2 deliver at such an affordable price? The Mi band 2 comes shipped in one of their classic style white boxes. 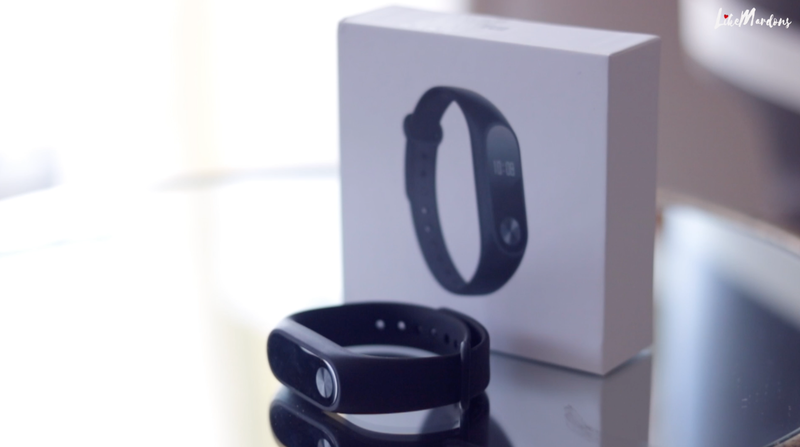 Included inside you have a fitness tracking module, soft rubber fitness band, a USB charger and paperwork. The Mi band 2 feels and looks well built, distancing itself from some of the other cheap fitness trackers currently available. It’s minimalist look & design allows versatility for both sports use and casual and can even be customised with different colour bands at a very affordable price. The module itself is made from high grade plastic with a heart rate sensor to the rear and a lovely toughened glass screen making up the front. Xiaomi claim it to be UV coated, scratch resistant and anti-fingerprint although I'd say this is not the case as I've experienced it attracting fingerprints and smudges very easily. There is a cool looking capacitative button built into the bottom of the screen that is nice and responsive to touch. The 0.42 OLED display is sharp and bright in normal light but can somewhat be harder to see in direct sunlight. The band itself feels smooth and soft, being durable and withstanding day to day wear and tear. Like mentioned previously, new bands can be picked up easily should you need a fresh one. It attaches via a push in metal pin and fixes securely onto your wrist. The majority of the time I didn't notice wearing the band as it is very lightweight and comfortable. You shouldn't be worried about getting your Xiaomi Mi Band 2 wet either as it is IP67 certified so using it in the shower or getting it wet in the rain won't be a problem. Xiaomi have provided a handy little usb charging port for your tracking module. 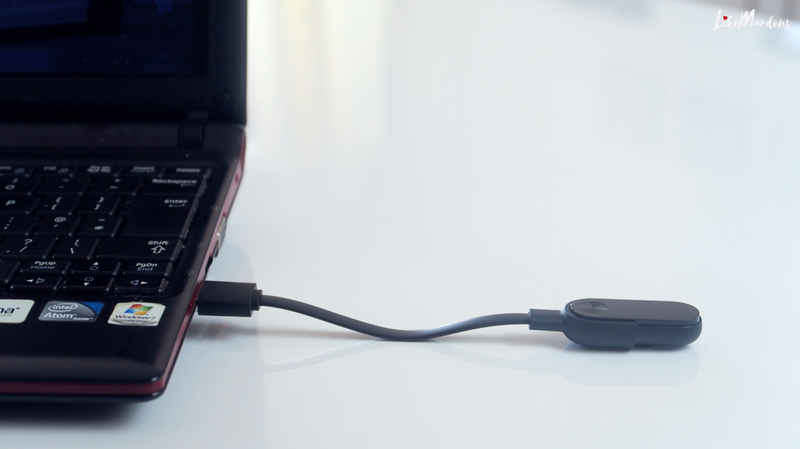 Just pop it out from your band, push it into the port and connect your usb to a power source. Charging time from zero to 100 percent should take around a few hours. The included instructions are basic and if you can't read Chinese writing they are pretty useless. You can however gather some information from the illustrations. 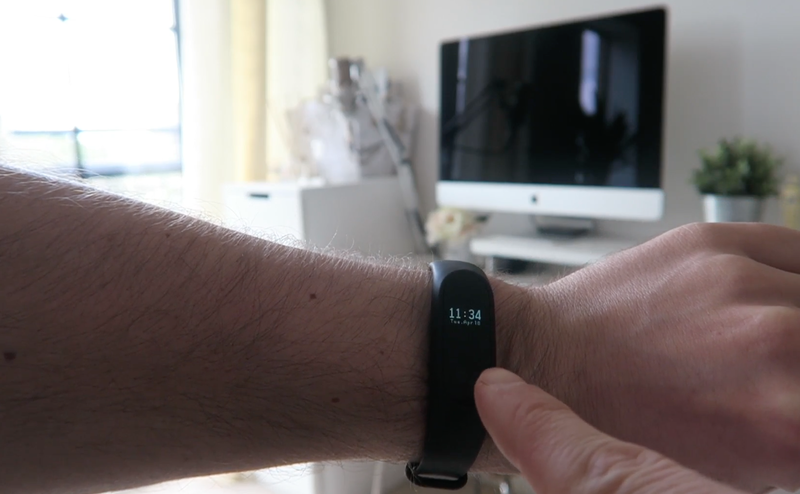 Functionally this fitness tracker is very user friendly. Quick taps of the capacitive button and the OLED screen will scroll between time, steps taken, distance covered, calories burnt, heart rate reading and battery percentage. All of which can turned on and off with the Mi Fit app downloadable from the google play store. As well as this, the mi band 2 is capable of alerting you of incoming calls, text messages and other application notifications which can easily be toggled on and off from the app. When a notification is received the module will vibrate and the corresponding application logo will show up on the OLED screen. 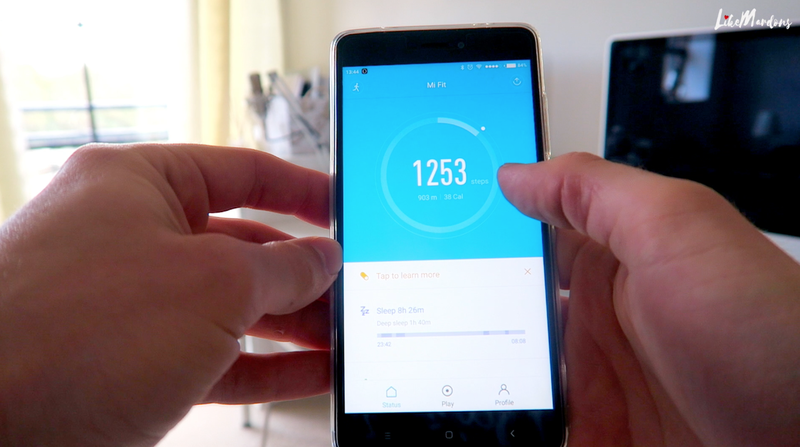 If you hate waking up to the sound of your annoyIng alarm sounding, you are able to set an alarm through the mi fit app which causes your mi band to vibrate, awaking you peacefully and not annoying anyone else. Using all of the notifications, alarms etc will of course affect the life of battery, but you should be able get Xiaomi's stated 20 days use out of it on a single charge with light to average usage. The device saves its battery by not having the display on all day. To view the time you simply turn your wrist towards you and the display will light up after after a split second or so. After extensively testing the fitness tracker, the heart rate readings and step counts I found to be pretty accurate. The heart rate reader does however sometimes fail to recognise your pulse but usually after trying again it will pick it up keeping your hand as still as possible. Also remember that the band is to be worn slightly higher up the wrist to produce best reading results. 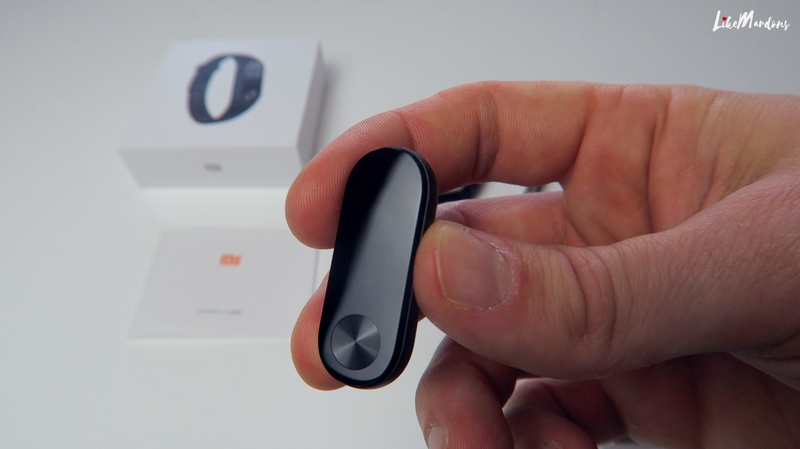 In order to take full advantage of the Mi Band 2 you will need to download the Mi Fit app for your mobile as previously mentioned and sign up to a MI account. The app requires you to connect your band through bluetooth 4.0 technology and I had no problems in doing so. 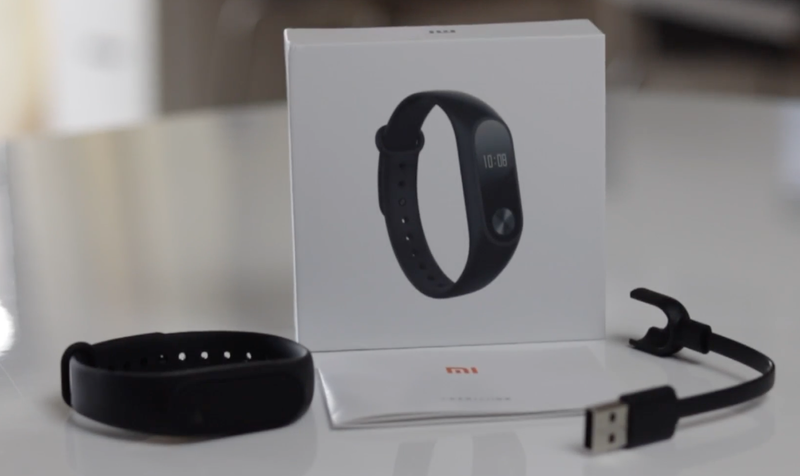 Once connected you will be able to make use of the vibrating notifications and regularly syncing the data from the band to your MI fit app. Another useful feature is the sleep tracker which tracks the length of time you sleep throughout the day and even detecting how deep or light your sleep was. I found it not to be completely accurate but gives you a general idea of your sleep patterns. You can also set your device up to remind you that you have been idle for a certain periods of times. There are also options to set daily targets, track your weight and a nice little function you can use to track your run either outdoors or on a treadmill. The Mi Band 2 offers fantastic value for money given the features and quality shown in this particular fitness tracker. Selling for around £25.00 you really can't be too disappointed in it's overall performance. The device tracks your steps and distance accurately, reads your heart rate well enough and usefully tracks your sleep too. 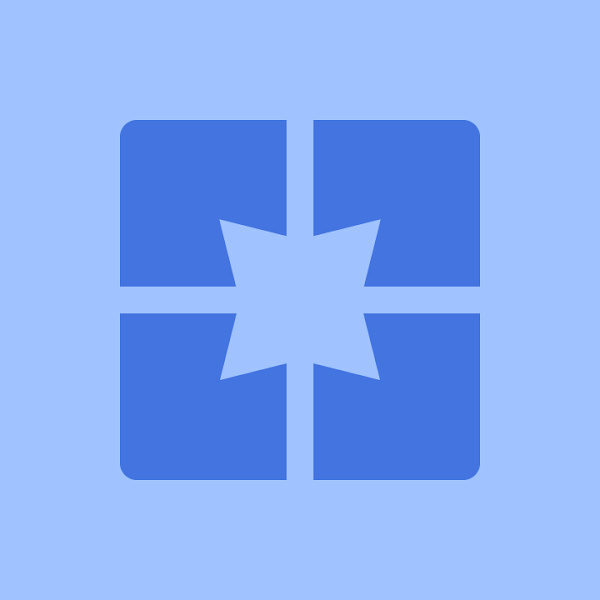 The Mi Fit Application is nice and easy to use and records all of your data in it's system. However, as with everything there are a few shortfalls. The band does not support continuous heart rate monitoring which may be essential to some and possibly the lack of precision in data recording may force those who are looking for more professional systems such as Garmin to look elsewhere. If you're thinking of purchasing a budget fitness tracker that offers a generous array of features and great battery life, this is definitely worth adding to your shortlist. 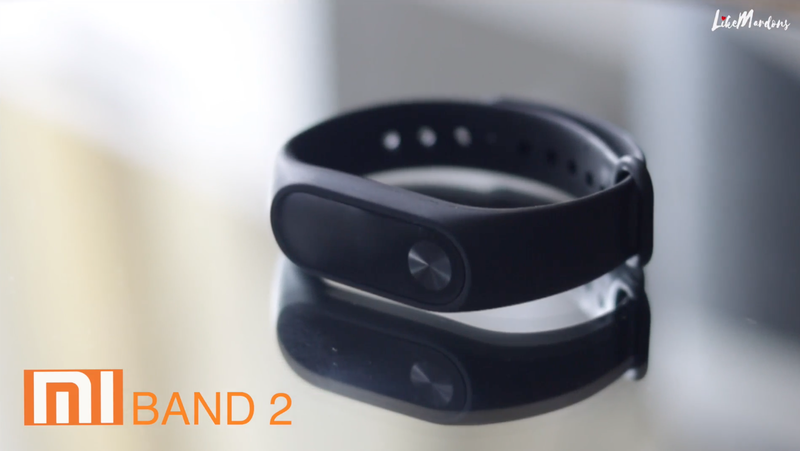 For basic tracking features the Mi Band 2 offers outstanding performance. If you would like to purchase one of these yourself, click here!